Organize online, build consensus across partisan lines, win elections! Freely set your own legislative agendas without political party interference. 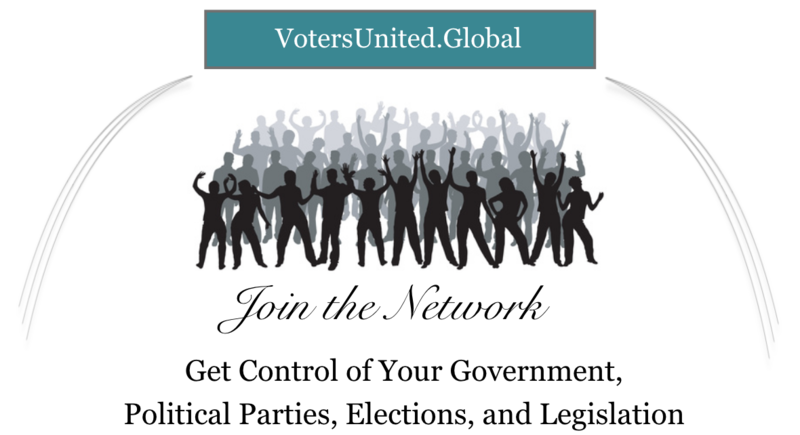 Join forces with other voters to build your own voting blocs, political parties and electoral coalitions; work together to democratically set common legislative agendas. Forge winning electoral bases for your blocs, parties and coalitions that cross partisan lines and grow large enough to decide who runs for office and who gets elected. Make sure your elected representatives enact your legislative agendas by conducting online petition drives, referenda, initiatives, and recall votes. Email the results to lawmakers and publish them online! Hold unresponsive lawmakers accountable at the ballot box by mobilizing your voting blocs, parties and coalitions to nominate and elect candidates of your choice to defeat them. 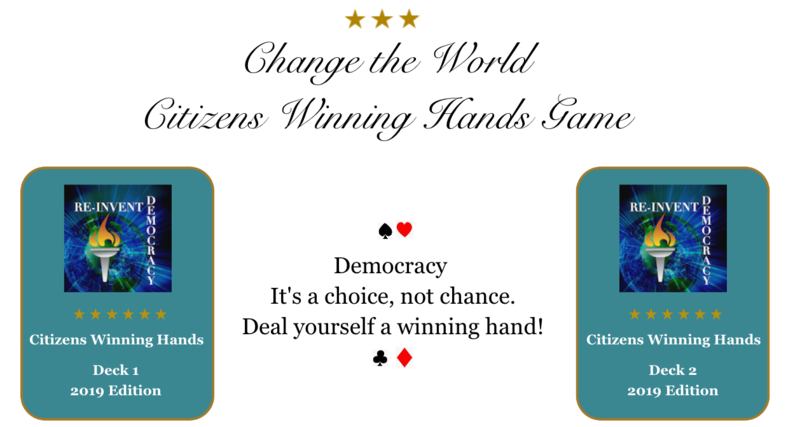 Citizens Winning Hands Game is based on the Interactive Voter Choice System, registered U.S. Patent No. 7,953,628, and the System for Playing an Interactive Voter Choice Game, registered U.S. Patent No. 8,313,383. Copyright © 2019 Re-Invent Democracy, Inc.